The system is based on the library of the Fraunhofer FDK AAC code from Android, patched for 960-transform to do DAB encoding. CSP had a primary role in the open source evolution of FDK AAC concerning the encoding of DAB applicative data inside AAC samples (PAD – Programme Associated Data). 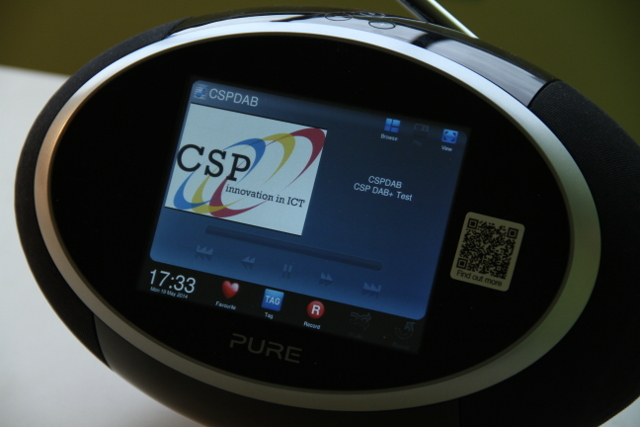 In particular CSP has developeB+ broadcast encoding. Opendigitalradio now maintains an updated version targeted for DAB applications. of MOT-Slideshow and DLS: the former permits the transmission of pictures associated to the audio and the latter permits to send a descriptive text shown by the display of the radio. ETI Muxer and IQ Modulator are based on the original software developed by Communications Research Centre Canada and now maintained by Opendigitalradio.